I wanted to share with you my latest collection available at Spotlight Stores! 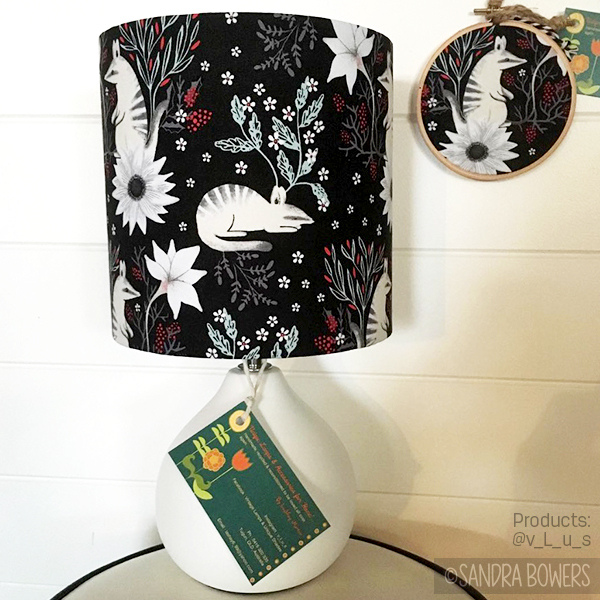 I designed this collection based on Numbats, since they are Australian animals (Spotlight is an Australian business) and because they are just so cute and have such interesting fur markings. The numbats just found this garden and they are wondering around and sleeping in it in the middle of the night. Now it´s their favorite hideout! Here you can see the 5 different designs available in the collection.